Entering the phablet domain, Blackberry announced its first 5 inch device with exciting features, thus getting into the competition of devices with big screens. 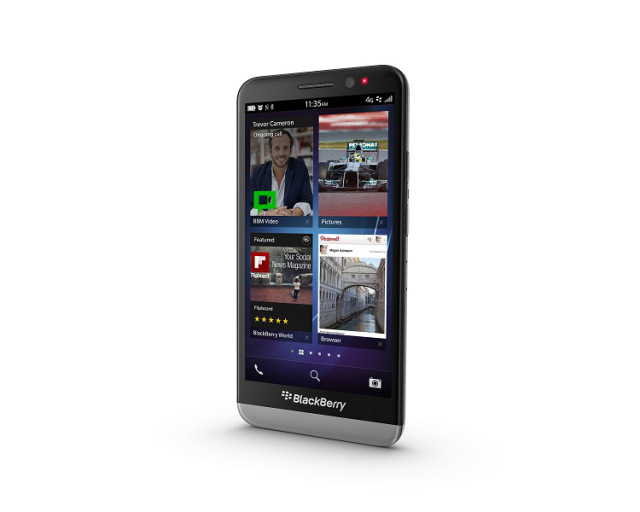 The Blackberry Z30 is the first Blackberry smartphone with a 5 inch Super AMOLED display. The device adheres to the Blackberry Z10 design language and has stereo speakers. The device is powered by a 1.7 GHz processor with quad-core graphics. The device uses the 10.2 update of the Blackberry 10 OS. The smartphone has a 2880 mAh battery which can last for over 25 days. The Blackberry Z30 has the Blackberry Messenger which with the latest update can instantly reply to the message without even leaving the app. It also provides an instant preview of the most recent messages and notifications on the Lock Screen itself. The pricing an availably of the device is not yet known.